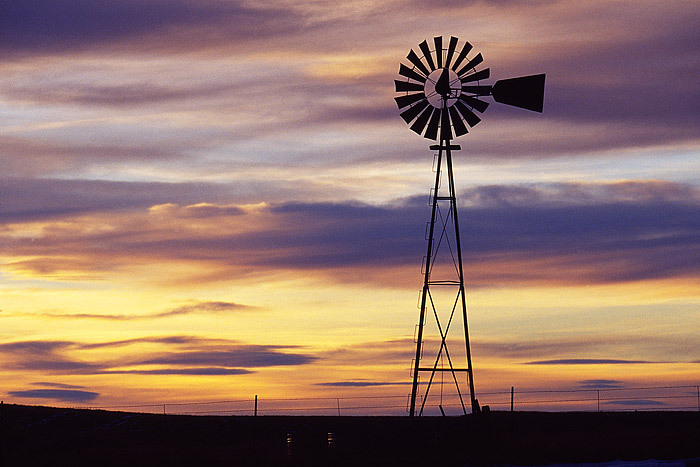 A Windmill and Cistern are viewed on the high plains of Wyoming near Bill. In this portion of Wyoming, Cattle and Antelope outnumber their Human companions. It's a calm Winter evening on the Thunder Basin grasslands as the sun sets over this desolate portion of the United States. Photo © copyright by Thomas Mangan.